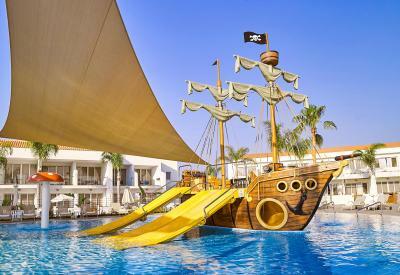 Lock in a great price for Olympic Lagoon Resort Ayia Napa - rated 8.6 by recent guests. Loved our room which was a family suite (428). Wanting to book next year. Very friendly staff. Loved the privacy at Olympic Bay. Every bit of the stay at this hotel was fantastic. We were treated like vips. The hotel knew it was my husbands birthday and they pulled out all the stops for us. We stayed in the fisherman’s village and it was absolutely fantastic! Didn’t even have to move as the staff bought us our drinks to the pool!! The Cyprus meze night at captains cabin was delicious!! The American diner was the only place you could get decent food that was hot where you didn't have to make a reservation. However the menu is very limited. The Kids pool is good, and one of the lifeguards was really good at keeping an eye on all the kids. The drinks selection is good however the coke is so watered down it doesn't taste like coke at all. 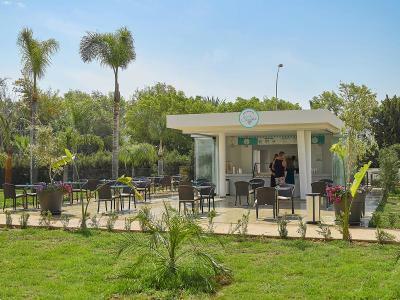 Just 150 yards from the golden sandy Landa Golden Beach in Agia Napa, the 5-star Olympic Lagoon Resort features 5 swimming pools surrounded by landscape gardens, a spa centre including sauna, indoor pool and hamam, 8 restaurants and a kid's club. 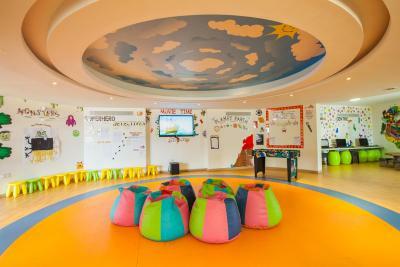 Other facilities include a fitness centre, water slides, a tennis court and a games room. 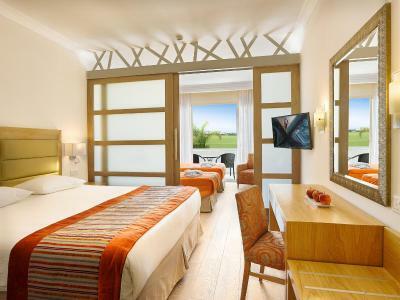 All 314 rooms and suites at Olympic Lagoon are elegantly decorated in soft colours and wooden furnishings. 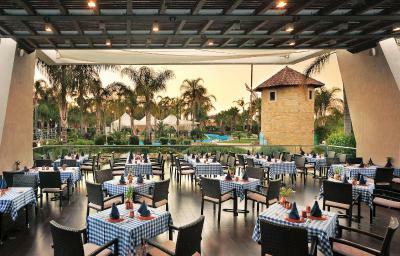 Each is air conditioned and equipped with a flat-screen, satellite TV, a safe, a mini bar and a coffee machine. They all open to balconies or terraces, while some enjoy views over the garden, the pool or the Mediterranean Sea. 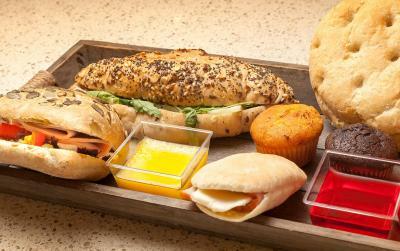 Guests can start their day with a rich certified Cypriot breakfast and then enjoy traditional Cypriot, Mediterranean or Japanese cuisine at one of the 8 restaurants for lunch or dinner, which also include special kids' buffet. 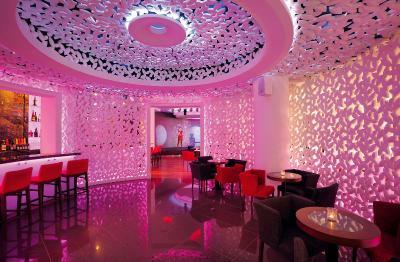 Exotic cocktails can also be enjoyed at the modernly decorated bar or at the pool bar throughout the day. Dedicated entertaining staff has a professionally designed program with outdoor and indoor activities. 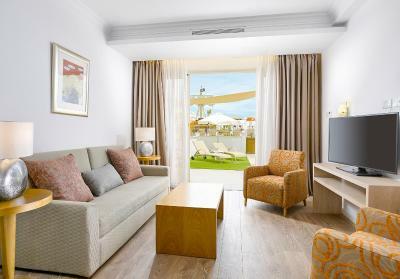 Extra services in Olympic Lagoon Resort include babysitting, room service and a 24-hour front desk. Free WiFi is available throughout and free on-site parking is possible. 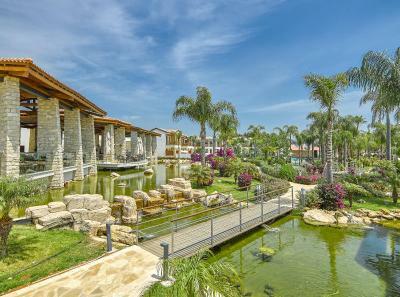 The centre of Larnaca Town lies within 28 miles from the resort, while Larnaca International Airport is at a distance of 32.3 miles. 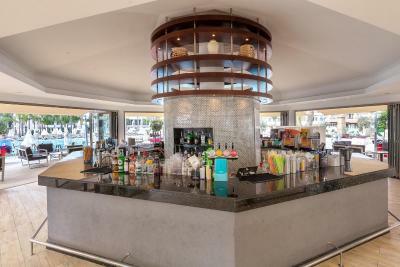 Protaras is located 5 miles away and Nissi Beach is 3.1 miles away. 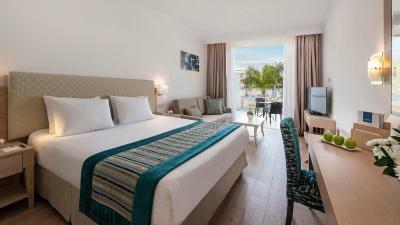 Olympic Lagoon Resort Ayia Napa has been welcoming Booking.com guests since 20 Mar 2015. 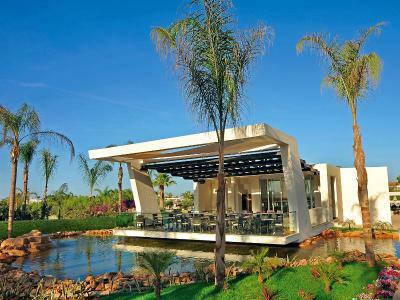 When would you like to stay at Olympic Lagoon Resort Ayia Napa? 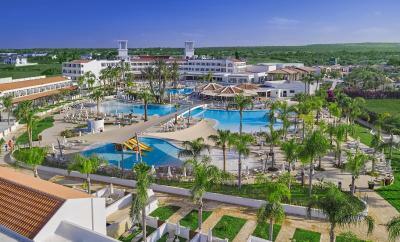 House rules Olympic Lagoon Resort Ayia Napa takes special requests - add in the next step! Olympic Lagoon Resort Ayia Napa accepts these cards and reserves the right to temporarily hold an amount prior to arrival. 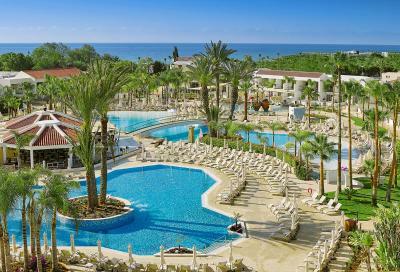 Please inform Olympic Lagoon Resort Ayia Napa in advance of your expected arrival time. You can use the Special Requests box when booking, or contact the property directly with the contact details provided in your confirmation.